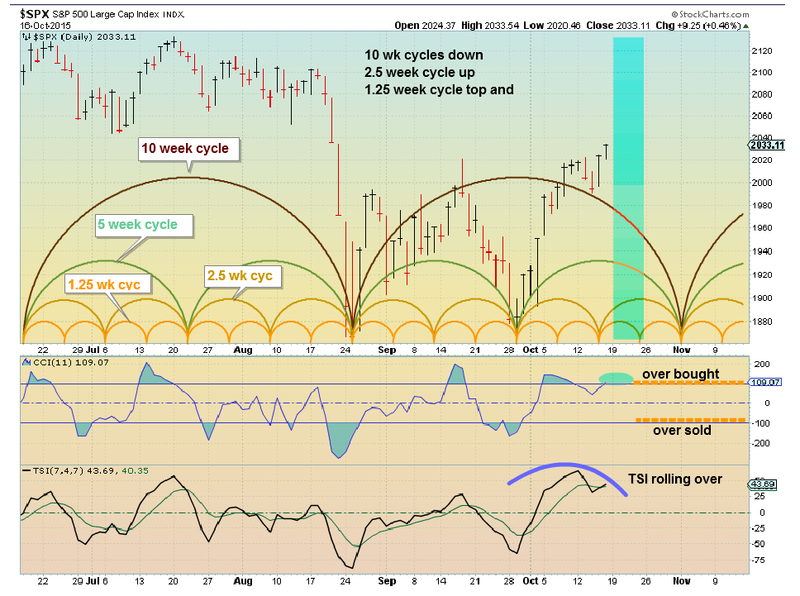 With 10 and 5 week cycles down there will be some downside pressure during the week. With 2.5 week cycle up it will offset some of the downside pressure and there should be additional pressure Monday as the 1.25 week cycle tops. Expect some upside first of week and downside end of week. Note the "W" formation on the chart, so be wary of possible upside breakout out. But, an upside breakout failure seems more likely as most of these shorter cycles will have topped out and headed down by the end of the week into the end of the month. Also note CCI is ready to enter "over bought" area (up early week and then down?). 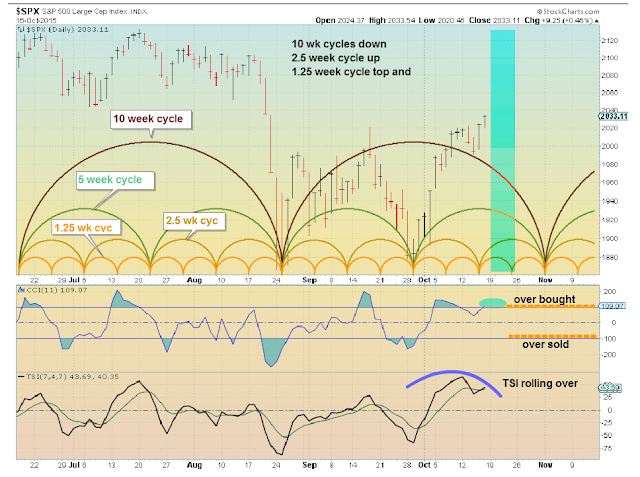 Finally the TSI may be rolling over and turning down (negative). Made a couple of per cent early in the week last week on RWM using limit order to buy near the weekly low. Took profits before Tue close and moved in to IWM. Friday closed IWM position for a profit and moved in to RWM.... Was a profitable week even though market was fairly flat for the week. Using fairly tight stops for RWM position going in to Monday.